Incorporated in 2017, FINSTICK Innovations is backed by highly motivated professionals in cryptography, mobile payments, smart-cards, telecommunications and value-added services. With our average 20+ years of field experience and several invention patents, our team is bearing the best practices of software design and development, optimization of algorithms, conceptualization and integration of complex IT systems. We create optimized and cost-efficient solutions with preset turn-key parameters not only for our own needs, but also upon demand and for our customers. 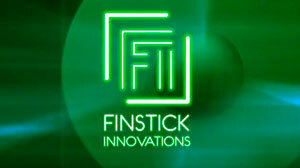 By ordering from FINSTICK Innovations you shall always have a set of highest level of software and services. The Liquid Bonus® Loyalty Aggregation Medium - blockchain based system aimed to unlock the loyalty indifferents' potential. Thanks to our new approach, the one third of total loyalty subscribers shall switch from inactive to at bleast occasional user mode. COINDOCTOR - a comprehensive service offer for companies and start-ups that have already had a successful ICO and faced the problem of their obligations fulfillment. A full range of services, from the creation of project documentation and proof of concept through the creation of a working model of the system, to the implementation of an innovative commercial blockchain-based system. COINDOCTOR will take care of all technological aspects of building a blockchain system according to your demand and shall prepare your company for the second round investment into the project by means of a second ICO. 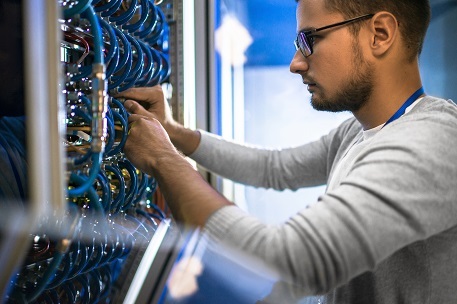 We are skilled and experienced enthusiasts who have spent from fifteen to twenty years working for telecommunications, smart-card industry, cryptography and IT security, system integration, service provisioning and outsourcing. Our employees and partners are bearing the best practices of software design and development, optimization of algorithms, conceptualization and integration of complex IT systems. Yet another look at the crypto-currency evolution scenario. Bitcoin and other crypto-currencies have been shocking the public throughout 2017 with their firm and progressive pump. With the onset of 2018, the general growth surprise was replaced by their surprising fall. At the beginning, everyone was waiting for the end of Chinese New Year holidays, then the reduction of negative market news, then a miracle… but the miracle failed to happen and capitalization continued to decline. What are the reasons for this trend? Let’s try to figure it out. The heart of any crypto currency is the blockchain, which has a great application potential besides financial transactions though. There are many other use-cases for this new emerging technology. In reality, investors’ funds are not just being blurred by numerous crypto-currency projects and forks, but also being flowed out into adjacent business segments to fund blockchain systems which are not related to crypto-currency at all. and other projects, which will certainly lead to the emergence of competitive international corporate driven crypto-currency systems. In addition, the successful projects of individual banks, as well as the emergence of the national crypto-currencies, will complete the creation of a serious competitive environment and will definitely challenge the very existence of many “early crypto-currencies” operated on a voluntary basis. The situation is further complicated by the fact that despite the already long circulation of Bitcoin and other popular crypto-currencies, they have not been able to find a decent market niche providing a constant consumer transaction flow, which is a necessary prerequisite for a stable level of capitalization. But instead, all the beneficial properties of crypto-currencies have been used exclusively for developing of a “new generation speculative environment”. Today we observe the consequences of such an evolutionary stage. 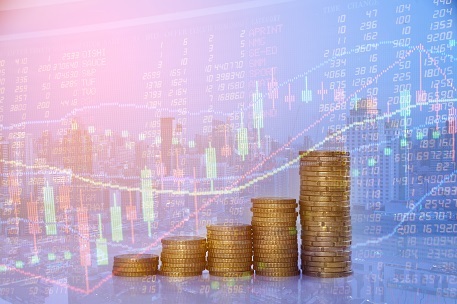 Once the speculators were exhausted and could no longer inflate the capitalization bubble of the crypto-currency market, the economy flew down, destroying along its path the fate of many latter-day traders and young “crypto investment funds” that appeared on the wave of rapid market growth. Crypto-currencies will have to find a ground in the form of a mass and everyday-used applications, which can attract and hold millions of new users other than those who already understand IT and hi-tech products. Only in this way will crypto-currencies find their space under the sun not just for a couple of years, but for many decades. And this process will no longer be directed by technology enthusiasts, but rather by experienced professionals, corporations, banks and the States. 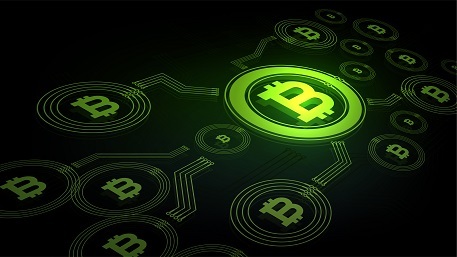 Considering the widespread recognition of the blockchain technology benefits for secure transactions, as well as the advantages that crypto-currencies promise to a global financial system, the emergence of national crypto-currencies and other instruments created by Central Banks and States, will soon turn to the pervasive reality. In parallel with this process, international settlement technologies using national crypto currencies will be defined and adopted. They will become the new standard and further evolution stage of crypto technologies and blockchain for cashless payments and banking services. At the same time, non-state public crypto-currencies will feel even greater pressure from national and international regulators who will strive to squeeze them out of the market. The instruments belonging to the first two categories will be governed by the relevant regulatory rules and laws, both national and international. The third category is the pure loss of today’s investors. Nowadays it is very important to locate and understand the valuable properties of blockchain and crypto-currencies for every particular application in order to make a conscious decision about the appropriateness for business or attractiveness as an object for investment. There is a certain information vacuum in the market. Numerous training courses and seminars are devoted to investment and trading, but just a tiny fraction really correspond to blockchain technology and few are aimed at a broad audience. This situation is typical for times of market hype. But it shall be changed in the near future. Thus development will take the evolutionary path and technology will become more accessible. 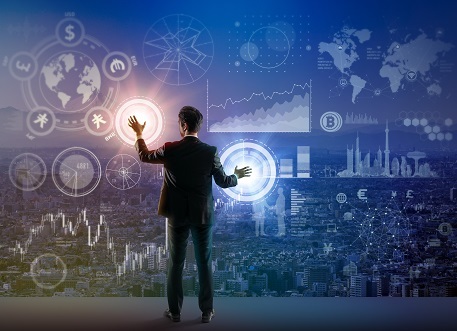 Whatever happens with the market and, no matter what changes are applied by regulators and authorities, those who quickly understand and master new technologies and learn how to apply them in practice shall benefit first. In order to imagine what will happen to retail in 2018, first of all we need to consider the main technology trends affecting consumers may be even more than retailers. The rapid development of mobile devices and networks has led to an unprecedented consumer awareness strengthening the status of this party dictating market rules. More and more trading procedures are being transferred from offline to online. Supply chains and consumer product distribution are being adjusted to the dominant online processes too. Retail has actively joined the technological race. From mastering simple IT solutions focused on WEB interface and automating existing business processes (primarily CRM), it has moved to a truly knowledge-intensive sectors of the IT economy, such as big data and the artificial intelligence. Taking into account the universal desire of cost reduction by further improving the concept of self-service in still common offline stores, it is difficult to overestimate the importance of such projects. 2018 shall not make revolution in the development of retail industry. Nevertheless, it will definitely be remembered as a year of adaptation to the new consumer-centric conditions and rules of making retail business. Showing reduction of the lower and middle level stuff of the offline retailers. The steady sales and business automation along with the progressive introduction of artificial intelligence shall inevitably affect the corporate HR policy and lead to a revision of staffing. This year, computers will continue to actively replace humans at customer service and call centers, legal and financial departments, as well as at offline retail outlets. Mass introduction of proactive sales model, which will become the key success factor for business development. The leading retail market positions will be successfully taken and consolidated by those players who will be the first to master and use emerging applications based on artificial intelligence and big data. Automated proactive sales will ensure both — the demand forecasting process based on big data analysis and automation of consumer motivation algorithms. Therefore, stories like the one happened to the American teenage girl, whose father found out that she was pregnant later than the retail network offered goods for newborns, shall finally move to the category of everyday in 2018. Thus, in order to overcome this negative trend, retailers and loyalty providers will have to start reviewing their loyalty strategy this year. Indeed, all existing centralized loyalty programs are complicated and costly, especially those having inhouse issuance and redemption process in combination with customized compensation scenarios and proper security level of loyalty transactions. At the same time they hardly reach compatibility with other loyalty systems which can be achieved through regional or industrial coalitions. 2018 shall bring new initiatives and solutions aimed for uniting diverse loyalty programs into a single, decentralized ecosystem which will guarantee proper confidentiality and respected interests of every participating Party. This shall give a fresh impetus to the loyalty market development by expanding it to a new global level. Moreover, decentralization will be able to spare loyalty programs from highly unpopular measures aimed at limiting the amount of deferred liabilities such as proprietary points and miles. An external decentralized intermediary system shall allow consumers to keep their bonuses, thanks to withdrawal option which can be used prior to expiration of proprietary points and miles. Thus the surplus of corporate liabilities caused by constant bonus issuance process will be additionally compensated by this option enabled with decentralized loyalty ecosystem. Comprehensive simplification of retail purchasing process, increasing convenience for consumers, the introduction of pre-ordering and self-service systems for offline stores, the further development of distance order trading with flexible delivery service. In 2018, buyers will no longer be surprised at the lack of cashiers on exit and cash-desk queues have good chance to turn into exotics already this year. There is a great potential for further development of automated delivery systems for remote and sparsely populated areas using drones and other exotic means but conventional courier delivery business will continue to evolve together with an increase in online sales. Most of retail marketers believe that loyalty programs representing the most effective way to develop existing customers and attract new ones. Thus companies allocate and spend huge budgets on their deployment and operation. However, legacy loyalty programs repel 70% of consumers at the sign-up stage due to its complexity and duration. Moreover various limitations lead to the fact that sometimes more than half of discount proposals remain inactive. The Liquid Bonus Loyalty project is aimed to solving the existing issues of highly centralized loyalty systems by enabling optional withdrawals of surplus points and miles out from the system instead of their expiration. The built-in capability of exchanging to other bonus points or even currency shall add extra bonus value for consumers. Liquid Bonus shall not just improve the loyalty programs’ effectiveness, but also significantly increase retail customers’ benefits. Hence, buyers will be motivated for long-term cooperation with retailers instead of taking part in particular promotions. On the essence of suggested solution, advantages and future plans for Liquid Bonus, we have discussed with Julius Kuznetsov, the team leader of Liquid Bonus Loyalty project. – Why did you initiate the Liquid Bonus project? To whom it is aimed? – Decentralization of the discount and loyalty market is long overdue. This was directly or indirectly stated by well-known market players, such as Deloitte, IBM and others. Moreover, the search for an optimal decentralized solution is simply inevitable for retailers who have already rested on the physiological consumers’ limit due to the abundance of offered loyalty programs. Despite the relentless interest in this topic from the business community and the pronounced need of end users who are no longer able to cope with the growing flow of loyalty offers, no one has been able to find an optimal solution for decentralization of the global loyalty market. In our opinion, the problem lies in the lack of blockchain environment capable of providing a high level of performance, which would suit retail applications. The goal of liqbo.com project is to adjust the direction of the discount and loyalty programs development, taking into account trends and approaches described above. – Why the project is interesting for you? – First of all, it is the implementation of our ideas and views on how the blockchain technology should evolve. We consciously accepted the challenge of creating a high-performance retail system using blockchain technology, because we consider ourselves capable of solving this challenging task. Crypto-miles and crypto-points mining or exchange - why not? In our opinion, the loyalty and discount market is no less attractive than financial one, so we are on board! – Is it necessary to create a separate crypto currency for these purposes? – Cryptocurrency in its common sense is not needed for the implementation of the Liquid Bonus Loyalty project. Thanks to our state-of-the-art ”2-way peg” solution, conversion of tokens from one blockchain into another will be introduced. Thus if desired, any participant will either be able to withdraw LiqBo tokens to the crypto-exchange for a frictionless trading or purchasing and transfer stake of LiqBo tokens back to the Liquid Bonus Loyalty system for getting discounts on a retail product or service. – What is the development stage of your product? When the product is expected to be released? – Despite the fact that a huge amount of work has already been done, we estimate the product as being at the initial stage of its development. We plan to launch a trial operation with basic functionality throughout the year. A full-scale commercial launch can take place in late 2019 - early 2020. But with the broad public support of our project, we shall be able to shorten the announced development time and bring it to the market 1,5-2 times earlier. – Why did you decide to conduct an ICO? Why don’t you go on the way of lending or attracting of an investor? – This ICO is not an end in itself for us. Unlike other ICOs, we are not going to master a mega-marketing-budget to ensure our ad presence everywhere. At the current stage we would be quite satisfied with the result of the whole ICO, commensurate with the marketing budget of the classic last year's "ICO on a broad scale". We do not consider banking loans as very expensive thus unacceptable, but we are looking for investors and happy with any business angels contacts. - How much do you plan to raise during the ICO? – We set the minimum threshold (soft-cup) of initial public LiqBo offering at 7,500,000 tokens (500 ETH). And we do not plan to "burn" unallocated tokens. Targeting development rather than speculation, we prefer to gradually distribute them among software developers and other project supporters. - How do you see the project life after the ICO? – We do not expect any drastic changes after the ICO. The amount of raised funds can only affect the integration speed of our retail Liquid Bonus Loyalty blockchain solution and its pilot operation launch. – How much can investor earn on your ICO? – It all depends on the purpose for the investor entering the project. If the target is a long-term investment, then it can reach hundreds of percent after the start of commercial operation. For those who are interested in earning on bonuses provided by ICO to their early participants, we have prepared a valuable gift. All investors who entered the project at the Early Bird stage will not only be able to double their LiqBo token stake in the event of reaching ICO soft-cap, but will also be able to issue their personal 20% bonus coupons for new investors getting 10% bonus from the first invested amount using such coupon. – Your advice for those who decided to raise funds through ICO in 2018. – In 2018, it is no longer enough making a beautiful website and writing a comprehensive whitepaper to sacrifice investors' liquidity. Therefore, any ICO, assuming a large-scale marketing and advertising cost, will run the risk of net losses in the event that the idea is not supported by a real innovation. 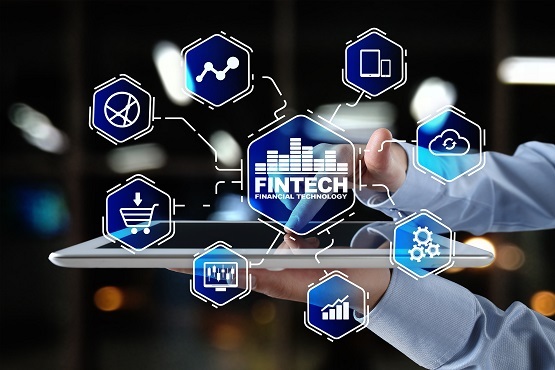 FINSTICK Innovations is a startup in the emerging fintech and blockchain space. We have designed a blockchain-based innovation to unite the fragmented Loyalty market into a single, healthy eco-system. Called LiqBo, it is a utility token that activates dormant customers who are subscribed but don’t participate. LiqBo shares the conventional economic model of traditional loyalty programs with the additional incentive of accumulating Liquid Bonus tokens that can be monetized or exchanged for a discount in the traditional way at participating merchants. Based on blockchain, it will be operated based on consensus of participating brands and retailers forming a unique, global, loyalty infrastructure based on distributed ledger. We are headquartered in Moscow, Russia, with an additional virtual office in Amsterdam, Netherlands. We have been in business since 2017. 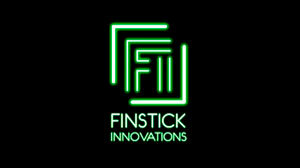 I’m the founder and CEO of FINSTICK Innovations. Creating my own start-up is an exceptional feat for me, after a career working in the technology sector. I enjoy being at the forefront, solving seemingly unsolvable issues, and even more importantly – turning the most unusual ideas into reality for the benefit of our business partners and end-users. I derive great satisfaction from the challenge of creating something new, designed to improve the loyalty market space. Belief in my team and our products gives me the necessary drive to push this forward. There are two significant challenges to overcome. The first is funding. We have just announced an ICO to raise investment for our solution and have so far managed to raise enough financial resources to go through incorporation and create a proof of concept for LiqBo – our flagship solution for the loyalty industry. We reinvest all funding and consulting profits into R&D but need an infusion of financial support to take Finstick to the next level. The other challenge is linked to regulation. The jury is still out on the legal approaches to the use of cryptographic tokens and blockchains. I am confident that our position as a technical provider will enable us to find our place in the emerging ecosystem. Great question! I would tell a younger me to be more open-minded and more challenging. I built up a package of experience and wisdom through previous careers and roles, which I felt was important to give myself credibility. In today’s world, daring to try something new can yield impressive results. I encourage my children not to doubt their talents and to give their projects their all. You never know till you try. Also, customer acceptance is the most important factor in business success. It doesn’t matter how great a solution is if your target audience is not open to the idea. New ideas must be customer driven rather than technologically, even if it means reviewing your business plan 10, 20 or even 30 times. Мир помешался на блокчейне и гадает, как эта технология наведет порядок в нашей жизни. Мы собрали несколько знаковых блокчейн-проектов, которые скоро решат проблемы жителей России. В марте этого года в России пройдут выборы президента. Жители страны привычно волнуются и размышляют, будут ли результаты народного голосования достоверными. Блокчейн поможет обеспечить достоверность результатов на грядущих выборах и отслеживать нарушения на избирательных участках. За это будет отвечать Ассоциация наблюдателей «Национальный общественный мониторинг», она запустила на портале nom24.ru специальные инструменты для контроля. Явка, количество голосов за кандидата, число действительных или недействительных бюллетеней будут сохранены в итоговых протоколах в блокчейне. Данные будут предоставлять наблюдатели с 20 000 участков. Подредактировать и изменить собранную информацию невозможно — такова особенность распределенного реестра. Все показатели (включая сообщения о нарушениях) можно будет увидеть на портале «Национального общественного мониторинга». Они должны подтверждать, что контрольные соотношения на избирательном участке сходятся. Авторы проекта надеются, что развернутое применение блокчейна позволит в будущем проводить электронные голосования. Сама же Центральная избирательная комиссия не собирается использовать технологию на выборах в этом марте. Ведомство готово перейти на блокчейн позже, в течение одного-двух лет. «Участие принимают только идентифицированные россияне, это можно обеспечить за счет использования подтвержденной учетной записи ЕСИА (gosuslugi.ru). Каждому будет выдан “токен” для голосования. Проголосовавший сможет убедиться, что его голос был зафиксирован, учтен и не изменялся. Это обеспечивается за счет записи в блокчейн-транзакции — передачи токена с ответом на вопрос от участника голосования к центру подсчета голосов. Подсчет голосов и подведения итогов автоматизирован, а при каждом пересчете получаются одни и те же результаты». Подделка документов, подписей, протоколов, оформление бумаг задним числом — все это периодически случается в правоохранительных органах, судя по новостям и жалобам россиян на онлайн-форумах. Невозможно будет изменить данные о проверке, внести данные о преступлении или проведенных следственных действиях задним числом, — продолжает эксперт. — Заметно вырастет контроль над деятельностью правоохранительных органов. Допустим, вы хотите продать квартиру или дом. Вы еще не начали собирать документы, но уже чувствуете себя плохо. Любая сделка — дело небыстрое, ведь нужно обращаться к риелторам, юристам, нотариусам. А тут еще бардак в регистрационных базах. Из-за этого тормозится передача прав на недвижимость. Чтобы исправить эти недостатки, Росреестр (это же Федеральная служба государственной регистрации, кадастра и картографии) с начала этого года собирается внедрять блокчейн в свою работу. Начнет с Москвы. Вопрос недвижимости, тем временем, очень востребованный. Ежегодно в России регистрируется более 25 миллионов сделок в этой области, говорит Леонид Анучин. Рисков при этом не будет. «Внедрение блокчейна позволяет исключить 'немотивированные' изменения данных о собственниках, владельцах, площади земли и зданий, — считает Леонид Анучин. — Решается проблема подмены документов и снижаются возможные риски коррупции». «На первом этапе реализации в закрытую блокчейн-сеть будут передаваться данные об объектах недвижимости и правоустанавливающих документах, — рассказал Hi-Tech Mail.Ru советник руководителя департамента информационных технологий Москвы Андрей Белозеров. — А на портале mos.ru по адресу объекта или кадастровому номеру можно будет запросить информацию. Конечно, это только начало и до идеальной реализации, когда все сделки с недвижимостью переводятся на смарт-контракты, еще далеко». Все те же сделки с недвижимостью предполагают походы к нотариусу. Этот специалист обычно берет за свои услуги немало — до 0,4% от цены договора. Покупаете у кого-то квартиру за 3 млн рублей, 12 тысяч платите нотариусу за чистоту и надежность сделки. «В будущем роль нотариуса в заверении сделок может сойти на нет, — утверждает Леонид Анучин — Это возможно благодаря блокчейну и распространению электронных цифровых подписей». Сохранение копии договора и подписей участников сделки в блокчейне (распределенном реестре) — уже само по себе гарантия честной сделки, так как данные невозможно подправить. Поэтому и необходимость в услугах нотариуса отпадает. А если какая-то из сторон окажется нечистой на руку и попробует сфальсифицировать документы, то это будет легко доказать в суде. Эту область жизни страны, которая давно обосновалась в анекдотах, тоже планируют «оцифровать» с помощью блокчейна. Над этим работает Российская ассоциация криптовалют и блокчейна. Хранение данных в распределенных реестрах позволит избежать того, что рано или поздно случается с каждым: ошибка в квитанциях за воду и электричество, неправильное начисление квартплаты, трата нервов и денег. Иногда это происходит по техническим причинам, а иногда таким образом мошенничают организации, которые составляют «платежки». Но то, что записано в блокчейне, поменять нельзя, поэтому после его внедрения такая схема уже «не прокатит». «В транзакции участвуют собственник жилья, подрядчик и управляющая компания, действующая в интересах собственника. Но действует ли она так? — задается вопросом руководитель отдела разработки компании «ИНТРО Технологии» Денис Смоляр. — Или возникает коррупционное сращение между УК и оператором услуг ЖКХ? Это конфликт агента и принципала, который можно разрешить переводом операций на блокчейн». Эксперимент уже начался в Свердловской области, а позднее охватит еще несколько регионов: Башкортостан, Бурятия, Татарстан, Карелия, Крым, Марий Эл, Краснодарский край, Новгородская, Новосибирская, Омская, Ростовская, Самарская, Тверская и Тюменская области, а также Санкт-Петербург. Однако инженер из «ИНТРО Технологий» напоминает, что блокчейн — дорогостоящая технология. И при текущей стоимости услуг ЖКХ, которая считается довольно высокой, большой вопрос, будут ли готовы россияне финансировать расчеты на блокчейне. В 2018 году должна стать возможной блокчейн-регистрация патентов на разработки. Над этим уже начал работать Роспатент в рамках программы «Цифровая экономика». Россия богата на изобретателей, она находится на восьмом месте по количеству регистрируемых патентов (данные World Intellectual Property Organization за 2016 год). Заявки подают люди самых разных возрастов, от школьников до пенсионеров. Поэтому власти посчитали, что без модернизации Роспатента не обойтись. Уже этой весной можно будет подавать электронные заявки на патент, осуществлять перевод прав на интеллектуальную собственность и распоряжаться ей в онлайне. Будут доступны финансовые операции по отчуждению и делицензированию своих изобретений через крупные российские банки. Кардинально изменить жизнь россиян блокчейн еще не может. «Для некоторых отраслей технология пока очень дорогостоящая, — заключает Олег Шарпатый, сооснователь блокчейн-стартапа ICOPlate. — Но в сфере платежных систем, банковского сектора и инвестиций блокчейн уже зарекомендовал себя как хороший инструмент». Впрочем, есть и экономный вариант внедрения. «Публичные блокчейн-сети (вроде Bitcoin и Ethereum) действительно обходятся дорого, а вот частные по стоимости сравнимы с классическими серверами и СУБД», — оценивает сотрудник департамента ИТ-технологий. А если уже существует качественная сетевая и телекоммуникационная инфраструктура, распределенные системы могут обойтись даже дешевле централизованных, считает Юлий Кузнецов, основатель IT-компании FINSTICK. Это значит, что с переводом документооборота и системы госуслуг на блокчейн государство сможет делать для своих граждан гораздо больше, чем раньше. На этом фоне интеграция блокчейна в жизнь нашей страны кажется вполне реальной. Однако на нее уйдет немало времени: после завершения экспериментов этого года власти будут оценивать, где блокчейн принес пользу, а где просто «съел» деньги. И затем решать, как разворачивать технологию в России. Так или иначе, о новых пилотных проектах мы в 2018 году еще услышим, будем держать вас в курсе. NO GHOSTS or how scam can be identified at the early stage of ICO projects? Dozens or even hundreds of ICO initiatives are turning into dust right before our eyes. Bitcoin is febrile, the rest of the crypto-currencies too. Most of us understand that global crypto-story features of a big bubble, others loudly share this impression. Fans of puzzles are in vain to find answers to the questions “And yet, why did Bitcoin suddenly have become so desired for everyone? Where is useful function?” And against this background, millions of investors continue to enter the contradictory crypto assets. Even though you would decide to invest just few bucks into an ICO project, you shall likely think about whether it will bring you some dividends or not. Every investor dreams of making big and quick money, but is it worth every time? Let’s try to figure out together some of ICO projects’ nuances. Large or even huge ICO budget. Let us recall the last year’s parable about monkeys, skillfully housed to a village. This story have turned to be, perhaps, a №1 hit story among people who invested in crypto, or thinking about it. I wonder why those peasants so easily paid for a dead horse? But everything is so simple — their focus has been completely shifted to profit, but no one even tried to think about the product bringing dividends at the end of the day, how it works and why this product is absolutely needed by everyone? It would seem that in case ICO project has already managed to attract a valuable investment not only to fulfill the basic intended purpose, but also for an extensive marketing and advertising campaign, this can serve as a reliable confirmation of its consistency. Unfortunately, in the real world this sometimes turns out to be the opposite. - Bob has invented a bicycle and went out to getting money for production. - He has attracted good investment So what should he do? - He was about to start bicycle manufacturing and sell them earning well… but no, Bob have begun re-investing in famous advisors, contracted the best PR-agency, bought much of leading press space and booked several top conference speaking slots. - At first glance, everything looks right and natural, but when bikes are reminded, the whole picture turns to be different — hey, Bob is no more who he says he is! Many of ICO whitepapers and websites are full of projections about the total demand for issued tokens, ownership benefits and the rapid growth of their value mainly expressed in dollars. However, I can agree just with the last statement on the background of steady capitalization growth and subsequent growing value of crypto-currencies, used as a basis for new tokens. All the rest is a big question. Indeed, why do millions people have to pounce on another derivative of Satoshi Nakamoto’s “crypto-gold”? It must be much easier to buy a Bitcoin or another highly demanded crypto-coin and forget about anything else! But in case of real innovation discovered in the proposed ICO solution, then it is likely worth considering it seriously. Maybe this is a new emerging branch of the crypto industry, promising more than generous and, most importantly, long-term dividends? The clear intention to release another new token based on the same blockchain infrastructure. Last year, I have followed the development of dozens of ICO projects dedicated to a wide range of economy sectors. Enthusiasts of ICO fund raising have authoritatively promised to use public blockchain (mainly Ethereum one) for absolutely any application including retail and many others requiring high-speed settlement. And, strangely enough, investors were willing to believe this, even though waiting for hours to confirm their crypto-currency donation clearance and paying unreasonable transaction fees for their funds transfer. And finally, the CryptoKitties game, built on the basis of Ethereum blockchain and its smart contracts, became the apogee of such initiatives end of last year by downgrading the entire Ethereum system’s performance. Very good lesson to learn from! Lack of support from the associated industry. You find many ICO articles looking like a promo and published by respectable press. “There’s nothing special that they are all commercial, now it’s so accepted” — you calm yourself by putting a tick in your investor’s evaluation sheet and do not even trying to think about whether there is at least one article or even a word which has been published for its meaning instead of its fiat value. You listen ICO speakers at blockchain conferences and other specialized crypto-events… they are very much appreciated by their crypto-world colleagues and other crypto-currency evangelists… and you reasonably mark this ICO by another “plus”. While you don’t even try to figure out whether this recognized by experts from the world of medicine (if ICO is dedicated to medicine), tour-operators and hoteliers (if this presentation was about tourism) or, for example, farmers with restaurateurs if it’s about food. And, most likely, it would be worthwhile showing ICO stuff to the profile experts since beautiful words and slideware may have nothing to do with reality. Sometimes this can only be evaluated and understood by the appropriatery industry professionals. I’m not inclined to belittle the importance of qualitative show-case design. But, if I would be going to support an innovative blockchain project aimed for social media, I’d try to figure out why does it opens me a whole universe drawn in a standard landing page and parked in the common ICO domain zone instead of, say, .TV? And amazingly why do I observe the same universe (a bit differently shaped, of course) on the ICO website dedicated to financial markets? And often many other ICOs have quite similar look. It seems to me those “wow-pictures” can easily hide the lack of valuable content and, at the same time, let bubble-ICO stay on top of attraction. No, I do not encourage anyone for keeping away from all colorful ICO sites, but it is worth locating and checking for a clearly described innovative idea and the ways of its practical implementation first. Dust slowly settles … what will be opened to our gaze in 2018? 2017 has become the year of enthusiastic and amateur ICOs and creative ICO swindlers. Some projects have failed to survive by mistakes, others were conceived as scam from the very beginning. 2018 started with numerous dictums about insolvency of ICO as a way of attracting investors. There are many regulation proposals making ICO more transparent by law and even by technology. But whatever happens, the number of innovators and investors will not decrease and, having mastered the next lesson of market spirals, all of them will continue to create amazing and useful solutions … together! Криптовалюта Монеро появилась после форка Bytecoin. С самого начала, монета столкнулась с множеством трудностей. Хакерские атаки не позволяли стабилизировать работу сети вплоть до конца 2014 года. Сегодня монета прочно закрепилась на высоких позициях всевозможных рейтингов. Основа монеты — технология кольцевых подписей. А главная ценность — поддержка полной анонимности пользователей. Базой стала работа по принципу формирования случайных групп со своими ключами доступа. Каждая транзакция проводится через предъявление ключа. Кто стоит за ним – никогда не будет известно. Дополнительной мерой приватности стал специальный код, встроенный в систему. Его задача — перемешивать транзакции. Баланс каждого пользователя оказывается сокрытым за генерацией случайных чисел. Даже сумма обрабатываемых денежных средств остается вне доступа. Создатели заранее позаботились об одном важном моменте, который не позволяет перевести монету в разряд любимчиков корпоративного майнинга. Ее добыча невозможна через асики, а это значит, что простые пользователи могут не беспокоиться о повторении любимой монетой пути биткойна. До 2022 года создатели планируют выпустить 18,5 млн монет. На этом этапе, приблизительные выплаты майнерам составят 0,6 монеро за обработку блока, с частотой выхода 1 на 2 сек. В дополнение, разработчики создали алгоритм, благодаря которому была решена одна из главных проблем майнинга – существенно снизился нагрев процессора и видеокарты во время работы. Несмотря на особенный статус.Монеро вторая по капитализации. Находится в свободном доступе. Для хранения Monero пользователям был предложен только официальный кошелек. Пользователи ценят киптовалюту за анонимность. Монеро стала главным платежным инструментом даркнета. Благодаря этому может официально носить звание «монета без риска цензуры». «Криптовалюта Монеро имеет ряд преимуществ, включая повышенный уровень безопасности, отсутствие ограничения максимальной эмиссии и повышенную анонимность, обеспечиваемую протоколом обфускации транзакций. Кстати, последнее свойство сделало Монеро популярной в онлайн-казино и других многопользовательских играх на деньги, а также вызвало обеспокоенность в «Европоле». Все эти свойства не являются преимуществами для использования Монеро в качестве платежного инструмента, принятого государством. Более того, учитывая стремление большинства правительств к установлению жесткого контроля над платежными операциями и к полному исключению анонимных транзакций из оборота (вспомним государственные программы по исключению денежных знаков из оборота и перевода всех платежей на безнал), криптовалюта Монеро не сможет оказаться интегрированной в финансовую систему на государственном уровне.» — рассказал BitCryptoNews лауреат CNEWS Awards 2007 (номинация «Управление Финансами», совместно с Альфа-банком), инициатор и соавтор первой в России системы мобильных платежей (2002 г.) Юлий Кузнецов. С момента начала работы сети, создатели постоянно трудятся над ее развитием. Все изменения, в конечном итоге, направлены на поддержку и улучшение показателей анонимности. Находясь в конкурентной среде, также особая роль отводится простоте и эффективности. Дорожная карта на официальном сайте дает понять, что впереди у самой законспирированной криптовалюты еще много положительных изменений, которые сделают ее еще сильнее. Какая валюта – такие и майнеры. Касательно Monero часто можно встретить новости об очередном открытии нелегального майнинга. Чаще всего он происходит через всевозможные трояны. Интересная информация. Одним из самых любопытных способов майнинга, которые сегодня были открыты, принадлежит платформе Pirate Bay. В основе их работы – майнинг Monero через посетителей, которые, чаще всего и не догадываются, что отдают свои вычислительные мощности на благо владельцам сайта. Активное использование Monero в качестве платежного инструмента на AppStore и iTunes Store. Полное признание легитимности криптовалюты через Oasis. Растущее число бирж и площадок, принимающих в свои ряды Monero для торговли и совершения платежей. система работы, включающая шифрование цепочки передачи данных, полностью противоречит принципам безопасности. Получается, что интеграция Monero на государственном уровне полностью исключена. Кроме того, криптовалюта представляет потенциальную опасность, как инструмент для финансирования терроризма, а значит, она в первую очередь привлечет внимание регулирующих органов. Начало активных действий со стороны правительства против Monero, вероятно, — исключительно вопрос времени. Для создания каких-либо попыток ограничения жизнедеятельности системы нужны полномочия, ведущие к необходимости полного узаконенного регулирования области криптовалют. В любом случае, работы по попыткам интеграции нового финансового инструмента ведутся во всем мире. «Монеро изначально нацелена на усиленную анонимность, что государствам не нравится, поэтому монеро и аналогичные криптовалюты, которые делают упор на это свое свойство, безусловно не будут поддерживаться государством, которое любит контролировать все финансовые потоки. Цена этой монеты начала расти после летних «зачисток» в даркнете, когда выяснилось, что биткоин не так анонимен, как изначально казалось. В ноябре уже стало известно о том, что американское правительство ищет способы для слежки за движениями биткоина и других популярных криптовалют, и что в списки добавились Monero и Zcash. Тем не менее, на сегодняшний день доподлинно неизвестно о том, удалось ли им реализовать план по установке слежки за транзакциями XMR с последующей деанонимизацией пользователей. Сказать точно можно только одно — об интеграции в финансовую систему тут речь быть не может, это будет противоречить самой базовой философии, стоящей причинами создания Monero». — отметил в беседе с BitCryptoNews криптовалютный исследователь, инвестор, член Bitcoin Foundation Александр Китченко. Необходимо также рассмотреть возможность перехода Monero полностью на «теневую» сторону. В будущем вполне возможен следующий сценарий: криптовалюты, настроенные на сотрудничество с правительством, получат определенную степень узаконивания, а Monero станет, своего рода, подпольным инструментом для платежей. Еще одна точка зрения, которая также находит отклики пользователей, гласит, что благодаря своей анонимности, Monero в конечном итоге, станет единственной востребованной криптовалютой. В любом случае, мир только стоит на пороге правовых решений для криптовалют, а значит, в запасе у Monero есть время. Пользователям необходимо держать руку на пульсе событий, так как у монеты есть все шансы стать врагом №1. Наибольшая активность криптовалюты отмечается с выходом на новые биржи. Большинство инвесторов склоняются к активному росту Monero в 2018 году. Удаленность возможностей принятия контролирующих мер дает время монете показать себя. Учитывая активный рост интереса на криптовалюты в целом, в 2018 году вероятен рост до 1000$. Сейчас Monero находится в стабильном восходящем канале, в фазе отскока после коррекции, что является хорошим моментом для входа в рынок. Сегодня Monero по-прежнему сохраняет потенциал и активный рост, как анонимный инструмент. Но принципы ее существования противоречат переходу на новый уровень развития. Получается, что для криптовалюты есть два выхода в будущем: начать играть по правилам (что в любом случае будет нарушать установленные рамки анонимности), или же уходить в подполье. Хотя разработчики и пользователи твердо настроены сохранить анонимность валюты. Самое значимое событие года, по мнению экспертов, это массовое признание и использование технологии открытых реестров (Blockchain). «Феномен биткойна, несмотря на то, что он сам по себе претендует на звание самого значимого IT события 2017, это всего лишь частный случай применения технологии Blockchain наряду с системами регистрации прав собственности (недвижимость, акции и т.д.) и многих других», — считает Юлий Кузнецов, генеральный директор FINSTICK Innovations. Так же считает и Ангелина Решина, директор по маркетингу компании CDNvideo: «Благодаря отчаянному хайпу вокруг роста биткоина, многие связывают блокчейн только с этой зоной применения, однако за этой технологией стоит гораздо больше. С помощью блокчейна возможно создание сервисов (совместное рабочее пространство, сделки малого, среднего бизнеса, даже государственные проекты (вспомним Грузию), шеринг-сервисы) без мошеннических схем. По факту, это задел для создания глобальной децентрализованной сети без единого внешнего управления, с высокой скоростью и эффективностью работы. Тем не менее, если называть основные события 2017 года, связанные с блокчейном, говорить о чем-либо помимо роста биткойна было бы, как минимум, лукавством». С приходом блокчейна и биткоина бизнес-среду тряхнуло с неожиданной, но самой чувствительной стороны. Появилась альтернативная схема привлечения инвестиций — ICO, которая демократизирует саму возможность привлечения инвестиций для проекта. «Технология дает возможность участвовать любому физическому лицу в венчурном финансировании, практически независимо от его финансовых возможностей. В этом же таится и опасность — венчурные инвестиции являются высокорискованными, и непрофессионалы этого могут не осознавать, а потому терять последние сбережения», — сказал Павел Матвеев, сооснователь криптобанка Wirex. Тем не менее, желающих инвестировать свои средства таким способом, становится все больше. «Нельзя не отметить ажиотажный спрос на криптовалюту и общее развитие технологии блокчейн. Если в 2016 году на мировом рынке первичного размещения токенов (Initial Coin Offering, ICO) было проведено сделок на сумму $103 млн, то в 2017 году в общей сложности показатели превысят отметку в $3 млрд», — сообщил Николай Добровольский, вице-президент Parallels. Ольга Кутейникова, исполнительный директор Digital Contact, видит в ICO новые возможности: «Эта ветвь развития технологии блокчейн позволит бизнесам привлекать финансирование без привязки к гео, а для потребителей это возможность инвестиций в международные компании, среди которых однажды может оказаться новый Google». А что Российский бизнес? Улыбается и машет или активно принимает участие в формировании ICO экономики? Обнадеживающую картину рисует Леонид Делицын, аналитик ГК ФИНАМ: «Для нас главный вопрос сейчас состоит в том, будем ли мы в будущем что-нибудь продавать, кроме сырья, и что это будет, когда спрос на наше сырьё снизится. Россияне совершили по меньшей мере три невероятно крупных по российским меркам ICO. В июне Сергей Пономарёв и Андрей Воронков привлекли эфирный эквивалент 42 млн долларов в проект SONM разработки распределённой вычислительной системы для поиска формул новых лекарств. Олег Сейдак и Илья Перекопский в сентябре привлекли $30 млн в стартап Blackmoon Crypto, разработчика платформы для перевода информационных процессов венчурных фондов на блокчейн-технологию. Валентин Преображенский привлёк $10 млн долларов в Latoken — протокол для токенизации недвижимости, акций, залогов и произведений искусства. Следует отметить, что привлечение средств в подобные проекты через обычный канал венчурных фондов является практически невозможным — инвесторы сегодня предпочтут вложиться в клоны раскрученных проектов Силиконовой Долины, а то и вовсе попросятся двадцатым или тридцатым участником пула фондов, собирающих очередной раунд для Uber». Хорошую мысль высказал Юрий Крылов, CEO VRTech. По его мнению, важной вехой в 2017 году стали многочисленные ICO. «В том числе были и ICO проектов по созданию парков виртуальной реальности. Но, думаю, такой тренд надолго не задержится. Главное — это, все-таки бизнес-оперирование, а не привлечение средств». Новая технология вызвала значительные изменения в раскладе сил в смежных бизнес-отраслях. В сфере информационной безопасности золотая криптолихорадка привела к появлению новых рисков. Злоумышленники с воодушевлением восприняли наплыв неопытных интернет-буратино. «Выросла популярность и стоимость криптовалют (в частности — bitcoin). Как следствие, хакеры стали активно взламывать криптобиржи и криптовалютные кошельки пользователей», — рассказал Илья Якимиди, основатель и директор компании «Защитный модуль». Желающих заняться майнингом среди компаний и частных лиц появилось так много, что на рынке компьютерных комплектующих в середине 2017 года возник дефицит. «Мы столкнулись с резким увеличением спроса на видеокарты. Чтобы понять, на сколько вырос спрос, напомним, что в 2016 году прирост составил около 40% по отношению к 2015 году. А в текущем 2017 рост составил более 120% по результатам первых трех кварталов», — рассказал Сергей Крбашьян, генеральный менеджер федеральной сети магазинов электроники «Позитроника». Похожий рост фиксируется и в сфере ЦОД. «Майнинг в этом году вызвал гигантскую волну интереса и массовую вовлеченность предпринимателей из всех сфер бизнеса. Обеспечение хороших условий для майнинга спровоцировало спрос на майнинговые фермы и отели, которые, в свою очередь, должны быть надежными и высокоэффективными», — объяснил Максим Сохань, генеральный директор «АМДтехнологии». «Уходящий год изменил отношение к рынку криптовалют, сделав биткойн одним из самых быстрорастущих активов, а саму технологию блокчейн — трендом, за которым идет финансовый сектор, частные корпорации и государства. Дальнейшая судьба технологии будет сильно связана с регулированием отрасли со стороны государства, считает Константин Кутуков, директор по маркетингу ГК «Астерос». Российские власти это понимают и делают активные шаги в поиске методов регулирования нового рынка и новой экономики. Блокчейн в России не станет изгоем. Перспективы самой крутой технологии 2017 года позволяют закончить статью на позитивной ноте. Как сказал Дмитрий Лучкин, директор по маркетингу Биглион, «сейчас блокчейн-экосистема сама пытается себя регулировать, далее всё придет к гармонии». - Do you have our loyalty card? - I can’t find… how does it look like? What color? - I can’t say for sure, we have issued different ones, it seems the latest has had a blue tones..
- No, regret, I can’t find, oh, what a pity! - Hey, there’s no problem, let's issue one more for free and you can use it right away saving new points! Dissatisfied murmur behind my back is being intensified, I focus my thoughts on our children who have been left to themselves for a long time in a children's corner with slides and other near-sport entertainments..
- Do not even try to do anything else, than process our purchases and we shall leave on other business asap! No additional formalities, please! This is a common scene of our daily life, no fiction at all. This was exactly the moment when I’ve asked myself: "How much longer can this be continued!?" And I thought about how to make the buying process easier and more comfortable for everyone. Loyalty and discount programs have been invented earlier than one century ago. Once upon a time, buyers were given metal tokens and stamps issued by a separate store. Those days, people lived a settled way and moved, at best, on horses, going out according to modern standards not on a travel, but rather on a short walk. Lots of water has flowed under the bridge since that time, but the need to stimulate sales, and even better, to bind all customers to a store has remained. And, strangely enough, the methods have not been undergoing valuable changes. Every single store or retail chain strives to do this for itself and allocates a huge budget on developing of its own loyalty and discount program, thus making changes to IT system and cash desks, issuing plastic cards and distributing them among buyers. But, apparently, they all forget that such system works frictionless only in case no one else doing the same thing but becomes a real nightmare for buyers, as soon as every store introduces yet another loyalty program... or almost everyone, because not everyone has enough money to setup and launch so complex and expensive system. Liquid Bonus - the idea of making business that optimizes loyalty programs. The idea of Liquid Bonus (LiqBo), which helps to accumulate and keep your points, miles and other benefits provided by retail networks, shops and airlines, has instantly appeared, but I had to spend much time for thinking and consulting with my friends to find a suitable solution, which would not become yet another loyalty partnership or a coalition having limited number of participants. You can come up with a new elegant solution that may bring success and money, but it will not change the current situation. This time my goal was quite away from the common approach of a businessman and innovator. In order for the "Liquid Bonus" to become really interesting to buyers and retailers, it should be truly global, not just working with major sellers, but also be easily accepted in many countries of the world. This tool should not interfere with the process established by every single store, network or loyalty coalition and prevent from any kind of disclosure of customers’ data accumulated in a loyalty program of an individual retail network, partnership or coalition. At the same time, I thought, Liquid Bonus should provide a trustful environment for all participants, even though they’re direct competitors and do not trust each other at all. How can we improve the loyalty programs’ efficiency by means of blockchain? Being involved in Loyalty Aggregation Medium, retail chains, shops and interested brands will become decision-making participants of the interoperable system thus making decisions about its operation and further development on the basis of consensus, as it happens in the world of crypto-currencies. Each participant with a native loyalty program will continue to operate it in its common mode. Any possibility of confidential information disclosure will be excluded. Every participant of the open Loyalty Aggregation Medium shall be able to track which retailer(s) were targeted after converting loyalty points to LiqBo thus making it possible to better evaluate and show the most suitable partner for a deeper loyalty cooperation in the future. And finally, a few words to retailers and loyalty coalitions. Instead of ‘burning-out’ bonus points and miles in order to decrease the total level of liabilities arising from constant issuance process, let your customers converting them into LiqBo tokens. You will not only get rid of the excess of customers’ obligations elegantly, but will gain additional option of assigning a commission for such operation. Or you can allow your customers to withdraw their surplus of accumulated points for free. But the point is not even there. The main thing is that your grateful customers will return back to you for convenient service and new opportunities… and new customers will come along with them. Be the first and success will be on your side! Moscow, January 2018 - The Liquid Bonus® Loyalty is announcing its first Initial Coin Offering (ICO) in order to grow and develop its business worldwide. MOSCOW, RUSSIA, January 25, 2018 /EINPresswire.com/ -- Moscow, 25 January 2018 - The Liquid Bonus® Loyalty is a global business targeting the loyalty and discount industry, eliminating country borders to serve retail customers around the world. With a successful proof-of-concept already in place and a number of essential partnerships underway, Liquid Bonus® Loyalty is announcing its first Initial Coin Offering (ICO) in order to grow and develop its business worldwide. This Early Bird Program expires on February 18, 2018. Providing a common user-friendly mobile interface for every participating loyalty program. All of these valuable features have been combined in one system, using the modern blockchain approach, while responding to retailer’s demands for fast transaction throughput. The use of state-of-the-art “SIDECHAIN with 2-WAY PEG” implementation means that the Liquid Bonus® Loyalty solution is a main contender for becoming the loyalty application of the future. The unique Liquid Bonus® Loyalty tool for end-users fulfills all major social and reward needs of retail customers. With its comprehensive functionality and user-friendly mobile interface, it presents valuable advantages over other loyalty applications for retail users. The Early Bird Program is a unique opportunity for those excited by this project and willing to support its rapid development. Early Bird Contributors in the crowd-sale will benefit from the exclusive option of issuing fixed discount coupons to their followers thus increasing their Liquid Bonus stakes until the end of the ICO. These favorable conditions are limited to this offer which ends on February 18, 2018. Following this, our loyalty and discount conditions for acquiring interoperable LiqBo® tokens will downgrade in subsequent stages of the ICO. "All raised funds will go to the development of the best in class blockchain-based, decentralized, intermediary ecosystem for loyalty, aimed at serving retail customers all over the world”, said Julius Kuznetsov, founder and CEO of FINSTICK Innovations LLC, the initiator of the Liquid Bonus Loyalty project. "The Liquid Bonus Loyalty system will not be owned by FINSTICK Innovations or by any other Party. Instead, it will be operated based on consensus of participating brands and retailers forming a unique, global, loyalty infrastructure based on distributed ledger”. According to the latest loyalty report, provided by Bond Brand Loyalty in collaboration with VISA, "Loyalty memberships are up while member engagement is at capacity." They add, "The cumulative points liability for all U.S. Programs is estimated to be valued at roughly $100 billion." This shows a tremendous market potential which Liquid Bonus Loyalty aims to address with its original blockchain solution answering retailers' demand for fast transactions. For further questions about Liquid Bonus Loyalty offerings or features, please visit www.liqbo.com or search for LiqBo®. FINSTICK Innovations is searching for partnerships to expand this technology internationally by initiating efforts in countries that will lead the distributed loyalty space. Please contact marketing@finstick.net to register your interest, or call Juli Kuznetsov on +7 499 677 5883. About FINSTICK Innovations: FINSTICK Innovations LLC (www.finstick.net) is a startup aimed for advanced developments in the emerging fintech and blockchain industry. Incorporated in 2017, FINSTICK Innovations is backed by highly motivated professionals in cryptography, mobile payments, smart-cards, telecommunications and value-added services. With our average 20+ years of field experience and several invention patents, our team is bearing the best practices of software design and development, optimization of algorithms, conceptualization and integration of complex IT systems. About Liquid Bonus®: The Blockchain driven Liquid Bonus® Loyalty Aggregation Medium (www.liqbo.com) is a complementary loyalty system aimed at unlocking the loyalty market potential by "activating" dormant customers who are subscribed but don't participate. The LiqBo® utility token works with a user-friendly mobile interface, is interoperable and has no legacy loyalty program holding it back. As such, it will unite the fragmented loyalty market into a single, healthy eco-system. 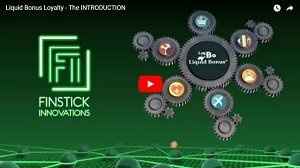 FINSTICK Innovations Announces Successful Proof of Concept for Blockchain - driven Liquid Bonus® Loyalty Aggregation Medium. Moscow, 10 November 2017 - FINSTICK Innovations have successfully completed a Proof of Concept (PoC) based on the Blockchain driven Liquid Bonus® Loyalty Aggregation Medium. The Liquid Bonus® Loyalty Aggregation Medium (www.liqbo.com) is designed to eliminate most of problems associated with self-sufficiency, closeness and isolation of loyalty programs and, as a consequence, low consumers’ demand for related services. Indeed, being registered in a dozen of loyalty programs, the average customer actively uses just 2-4 of them. The Liquid Bonus® Loyalty Aggregation Medium solves this issue by sharing the conventional economic model of traditional loyalty programs with an additional incentive that customers gain along with the ability to accumulate Liquid Bonus® or LiqBo® tokens. By getting LiqBo® tokens as a reward and (or) by converting them from miles and points of various loyalty market players, consumers can easily "monetize" them later by obtaining a discount in exchange to LiqBo® tokens or by reverse conversion to a proprietary mean of discount at the next purchase in another place. "In the process of creating and implementing of the Liquid Bonus® Medium, we are striving to achieve much lower cost than today's existing loyalty solution providers can offer for integration of common loyalty systems”, said Julius Kuznetsov, founder and CEO of FINSTICK Innovations "In addition to it, we shall provide much higher throughput and performance than competing public Blockchain – based solutions can do." FINSTICK Innovations LLC (www.finstick.net) is a startup aimed for advanced developments in the emerging fintech and blockchain industry. Incorporated in 2017, FINSTICK Innovations is backed by highly motivated professionals in cryptography, mobile payments, smart-cards, telecommunications and value-added services. With our average 20+ years of field experience and several invention patents, our team is bearing the best practices of software design and development, optimization of algorithms, conceptualization and integration of complex IT systems. Without permission, anyone may use, reproduce or distribute any material provided for noncommercial and educational use (i.e., other than for a fee or for commercial purposes) provided that the original source and the applicable copyright notice are cited. Systematic electronic or print reproduction, duplication or distribution of any material in this paper or modification of the content thereof are prohibited.